St. Regis, a Canadian award manufacturer, and R.S. Owens, a Chicago awards manufacturer that makes the Oscars, are now joining forces and relocating to DuPage County from a facility in Indianapolis. They have purchased a building in Itasca, where they will consolidate all operations. 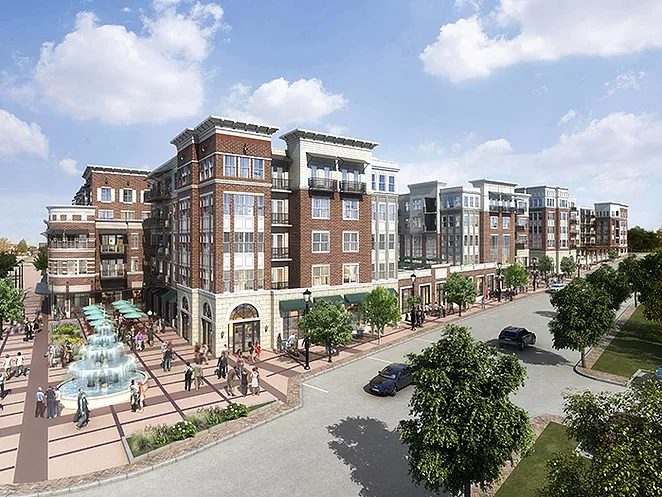 This will bring 110 jobs to DuPage County, and create 40-50 new jobs. A number of organizations joined forces to discuss the growing challenge of fueling the manufacturing labor force and making more people aware of the career opportunities uniquely available in this thriving part of our economy. 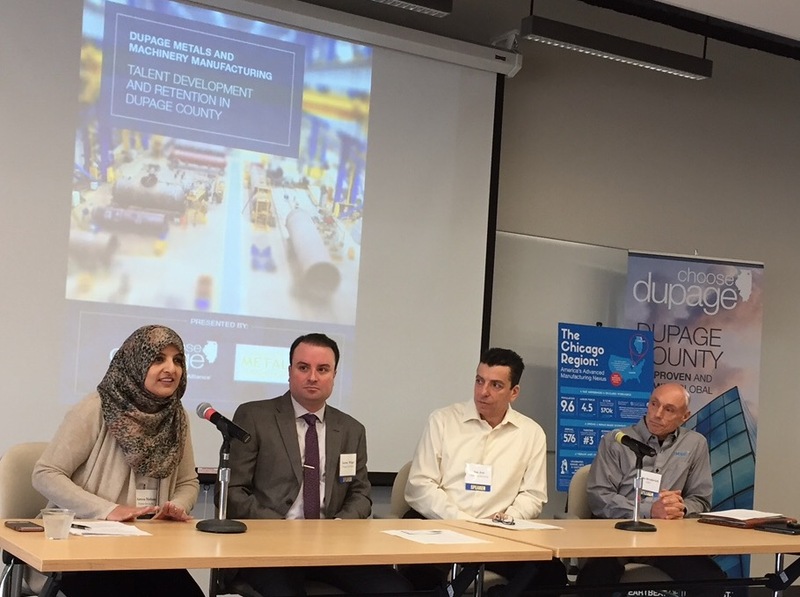 Experts representing manufacturers, educational institutions, non-profit governmental organizations and even a representative from the U.S. Department of Labor joined the discussion and made valuable connections at the DuPage Metals and Machinery Manufacturing event sponsored by the Choose DuPage Economic Development Alliance and the Chicago Metro Metals Consortium. In the opening remarks, Dan Allen the Chairman of Choose DuPage Workforce Committee reminded us of the huge shortage of workers expected in the next 10 years. Millions of jobs in the manufacturing segment could go unfilled unless something is done to nurture the next generation of employees. DuPage and the surrounding Chicagoland area has a benefit of being one of 24 regions in the United States designated for manufacturers, so it qualifies for preferential treatment in the disbursement of grants and other incentives. Manufacturers, associations and educational organizations need to come together to take advantage of these opportunities and fill the gap. In this panel discussion, Pioneer Service President, Aneesa Muthana was asked about the challenges and solutions facing manufacturers. Ms. Muthana kicked off the conversation with her story of re-training her entire workforce when she had to change her business model due to overseas competition. Because skilled talent was nearly impossible to find in her new market, she relied heavily on the manufacturers of the CNC equipment for training. It took out-of-the-box thinking and strong employee loyalty to weather the change from making relatively simple parts on older screw machines, to making highly complex medical and automotive parts on new advanced Swiss CNC lathes. Aaron Wiegel, President of Wiegel Tool Works agreed that finding skilled labor was so difficult that his company now focused most of their efforts on educating youth about manufacturing careers and funneling them into apprenticeships. Mr. Wiegel emphasized the importance of manufacturers coming together with associations such as the TMA to promote manufacturing careers on the whole, rather than poaching employees from one another, which drives up costs for everyone. “We have to have a pipeline of applicants. This means we need to do things like sponsor high school competitions, involve parents and provide summer jobs.” Ms. Muthana discussed the need to engage students younger, and has plans to have plant tours for middle-schoolers in the near future. Jim Jett, President of Chips Manufacturing, agreed and asked the educational institutions to focus on math skills which are a key component of qualifying entry-level applicants at his company. This panel discussion, which was followed by very practical advice in the subsequent panel, was a reminder to all manufacturing executives to take time to work not just in their businesses, but on their businesses, to develop tomorrow’s workforce today.